Founded in 1987, Colorful Images a leading provider of personalized products, gifts, and décor. Customize a cutting board with stunning scenery, express your individuality with customized checks or get personalized Post-It Notes. Select from categories like address labels, checks, wall décor, holiday, garden items and gifts. If you want to create some customized stationary or collectibles, you’re in the right place. You can easily shop by category and theme. In addition, if you’re looking for a unique gift, select from items for him or her, the pet, child or more. Add some color to your life by shopping with one these Colorful Images coupon codes or special offers. 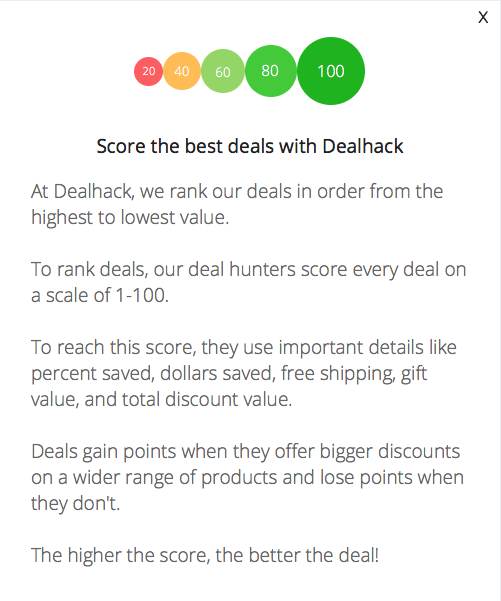 Our job here at Dealhack is to bring you the best online coupons. Browse this page for the latest offers we have found because you have the chance to save big. If your offer displays a code, copy the code and paste it before checkout. For most coupons you’ll see on this page, just click the offer that you like most and enjoy. We’ve noticed our customers love discounted shipping rates and buy one, get one deals You can find all different kinds of great deals right here on this page. Be sure to register for the Colorful Images SmartBuy Savings Club. All you have to do is purchase a silver or gold membership, and you’ll receive discounts and free gifts. Get things like personalized address labels and a premium holiday gift. Furthermore, check out the outlet store for deep discounts on already reduced products. Contact a customer service member by visiting their customer service page or calling 1-800-458-7999. You can also use their live chat option on the site. In addition, visit their Facebook, Twitter, and Pinterest pages for excellent gift ideas and new product releases. We have great offers on this page but visit the outlet sale page for significant discounts. You can save as much as 60% on thousands of items. You can join the Smart Buy Savings Club to save 10% on every order. You can upgrade to silver or gold annual membership for a fee to receive additional savings. Request a catalog on their site if you prefer ordering by phone. If you are new to shopping online, contact us here at Dealhack, and we’ll be happy to help. What is Today’s Best Colorful Images Promo Code? The best Colorful Images promo code right now is AFLFS99. This code is for 'Buy 1 Label Get 50% off the 2nd and Get $.99 Shipping on any $30 order'. Copy it and enter it on the Colorful Images checkout page to use it. Standard shipping rates apply to all orders. We usually have a deal to help you save on shipping so be sure to check here first. You can return any unwanted items up to 60 days after purchase. Contact their customer service team to obtain a return authorization number.